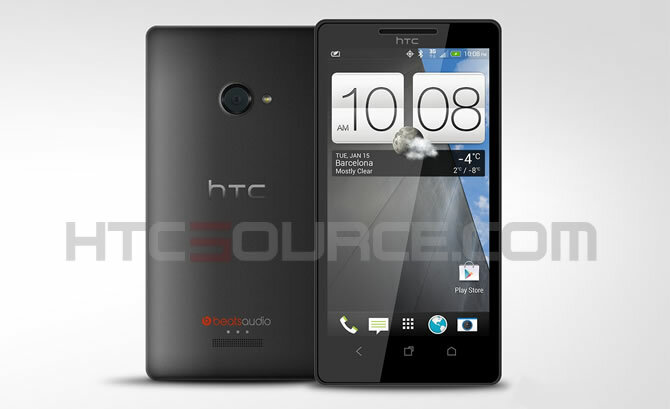 So, is this a real render of the HTC M7? Your guess is as good as ours, however, this looks much more like a phone that HTC would produce than the random iPhone-ish, dual-speaker render we saw earlier in the week. Expected to be announced at Mobile World Congress next month, we are seeing a lot to like if this turns out to be the real deal. The phone almost mimics the HTC 8X, a Windows Phone 8 device that we tested for a couple of weeks and grew quite fond of. HTC was praised for the design of that phone, so if we were to see them continue on with a similar style in their next big Android device, you wouldn’t see us complain. We’re also seeing the new version of HTC Sense, which many are referring to as Sense 5.0. It doesn’t look a lot different at first glance, but you can see new icons that appear to match up to the new minimal screenshots of Sense we saw a couple of weeks back. Beyond that, it’s tough to get anything else from the images. Well, it does mention “Barcelona” on the clock, which just so happens to be the location of MWC. We can see a centered camera with flash on the back along with Beats Audio branding. One concern we do have is the setup of the navigation buttons on the bottom of the device. They appear to be hardware, not on-screen, yet also are rearranged from past devices. For whatever reason, the home button has been moved to the far right, swapping places with the multi-tasking button which has now been centered. And this would be the moment that we all complain under our breath that there needs to be a standard set for navigation buttons.